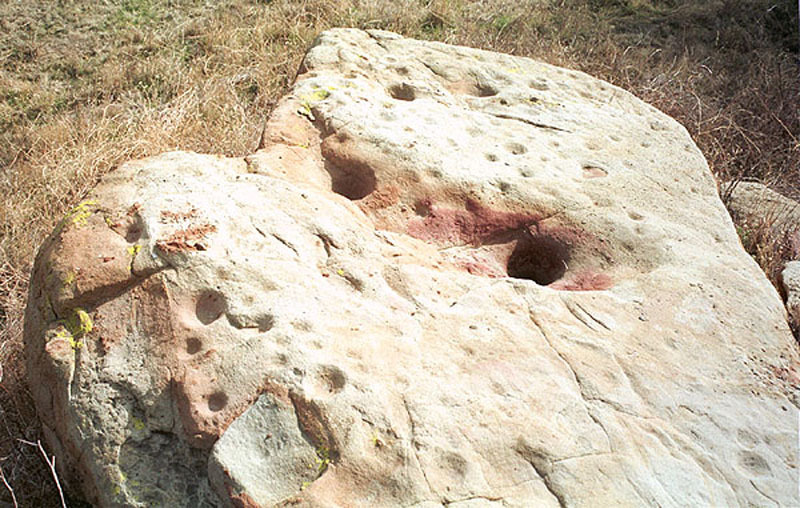 Sandstone boulder with at least 13 bedrock mortars (the deeper holes) and as many as 60 cupules (the shallower "dimples"), located at the head of the Castaic Valley at the confluence of Castaic Creek and Fish Creek, on what was the Naylor Ranch from the 1910s to the early 1930s. This boulder is believed to represent the sole remaining rock art in upper Castaic Canyon, following the creation of State Water Project reservoirs at Castaic and Elderberry canyons in the early 1970s. The boulder measures approximately 3.25 x 2.5 meters and about 1.5 meters high. 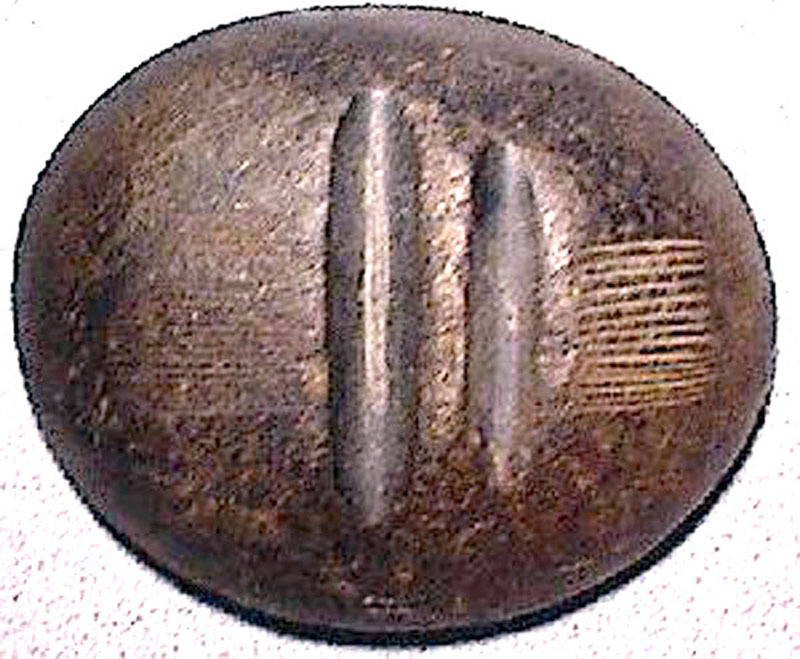 Probably Tataviam in origin, the deepest mortar is 17cm deep; the shallowest, 2cm. The mortars would have served a kitchen purpose. "Native groups in southwestern California made red pigment by collecting and drying a particular type of pond algae. They ground the pigments with bedrock mortars commonly found near pictograph sites and applied the paint to rocks with brushes made from vegetable fibers or animal hairs, or they daubed it on with their fingers or hands." LW0070: 9600 dpi jpeg from digital image, year 2000, by Leon Worden.